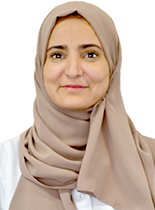 On behalf of Prof. Abdulkareem Al Bekairy, Dean of College of Pharmacy, KSAU-HS together with the Faculty and Staff, we would like to congratulate Dr. Hind Saleh Al Modaimegh for the renewal of her appointment as Associate Dean, Female Branch, College Of Pharmacy-Riyadh, KSAU-HS. May you continue to work in collaboration to enhance student's lives and experiences at COP. Congratulations on your achievement! We are looking forward to work with you and wish you even more success ahead. Please join us in congratulating Dr. Hind Saleh Almodaimegh on a job well done and extend your full support.